Summer tyre for cars and 4x4s, the Uniroyal Rainsport 3 is designed to offer sports driving enthusiasts’ a reliable ride on wet and dry roads. Safety. Compared with the Rainsport 2, braking distances are shorter on wet roads thanks to biting edges formed by wet sipes. The innovative tread compound provides more grip on wet roads. Rigid shoulder blocks improve braking and handling on dry roads. Aquaplaning. The flow optimised, asymmetric tread effectively drains water to reduce the risk of aquaplaning. The SST (Shark Skin Technology) technology, inspired from the structure of a shark’s skin, improves water drainage from the tyre’s contact surface. 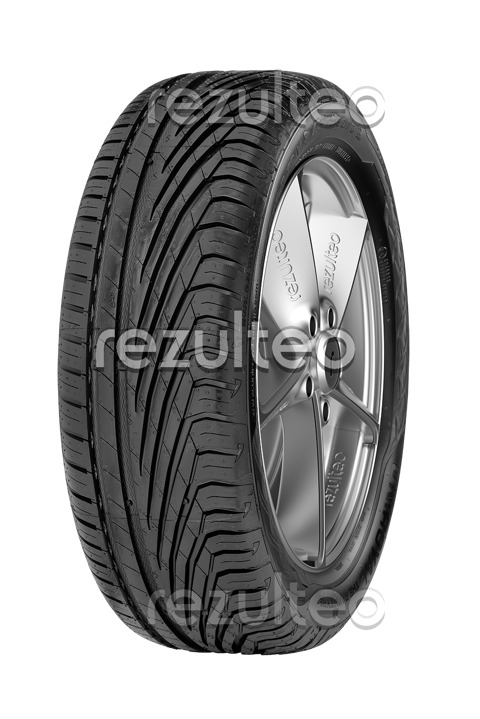 Sporty summer tyre for cars and SUVs.